Just because everyone uses the product you sell doesn’t mean everyone is your market. Most brands carry products that exist in multiple market price points, and the success of the brand is usually dependent on facilitating and cultivating THEIR specific marketplace. I know this may sound confusing, so I will use my firm as an example. 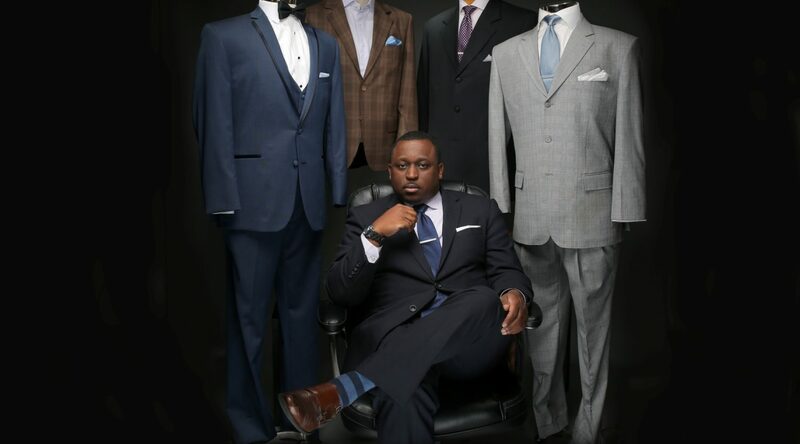 My brand, William Wilson, was developed to cater to business men and women (yes – I also make women’s clothing). Athletes and celebrities were never my target market; nor are they now. I was just blessed to acquire an impressive client portfolio that happens to include a significant amount of them. I honestly would rather have the person that works in Bank of America Corporate Center than the one that plays in Bank of America Stadium. He’s going to be a more “consistent” buyer because he has a constant NEED for my product. Plus given the average NFL career is 3.5 years, the numerical longevity factor is far more beneficial to me at the corporate center than the stadium. That explains one part of the market place. But that isn’t the focus of this post. I’m talking about straying from your corporate brand strategy to chase every dollar. There is no way to maintain brand integrity and chase dollars. Especially in the luxury goods market. Again, this may make no sense in the abstract, so I will once again use my brand to explain. I sell a premium luxury product, custom clothing. My brand is known for being some of the best looking, best constructed and highest quality in the country. That comes at a price. That doesn’t mean it has to be astronomical in price, but it shouldn’t break the bank of my target client either. With the exception of my Morehead Collection. My suits range from as low as $699 up to $40,000 (my Morehead Collection begins at $20,000 and is delivered by an armed guard in an armored truck). So as you can see, I cover a large price range. However, there is a segment of my market that will never buy from me. In the industry, we call them “Hotel Ballers“. Now some have asked why I don’t try that same thing locally and eliminate the competition. I explained to him, I have a brand to protect, a company to protect, and clients to protect. My clients trust me to provide them with the highest quality products on the market. My clients want a great suit, made with integrity and high quality, and they want a fair price. Not a cheap price, a FAIR price. My clients understand that quality costs. For me to be able to compete for that business, I would have to use lower quality fabrics, have them machine sewn in China, and machine sewn. These are all factors that would possibly increase my customer pool temporarily, but a client that is strictly shopping price isn’t concerned about quality and will leave for the next guy whose product is $50 less. Then you’ve lost your previous clients AND your new ones. Worse than that, you will have lost your brand credibility. That’s entrepreneurial SUICIDE. You will never see Neiman Marcus competing with Wal-Mart (or Macys for that matter). You won’t see Mercedes and Lexus compete with Honda or Chevrolet. And you won’t see the William Wilson brand competing with hotel suit sellers. This is not to discredit them, or their customers. They do what they have to do. It’s not about them. It’s about the William Wilson brand, and my clients. My clients have placed trust in me. I owe it to them to be what I told them I was. They come to me because they feel I offer something they can’t get anywhere else. They come to me because they want the best from the best, and they feel like I fit that description. I appreciate my clients, and would never disrespect them by trying to flip-flop to chase a dollar. I don’t focus on my competition. I focus on my market. Where they go, the William Wilson brand goes. ← Life’s Not a Marathon. It’s a Sprint.